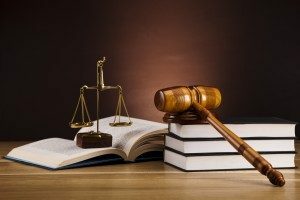 In most civil and criminal cases, a plaintiff is awarded damages or a criminal defendant is convicted or found not guilty based on credible witness testimony. Even in cases where liability appears established and the damages are extensive, it is helpful to have witnesses who are unbiased or neutral and whose opinions and observations will be accepted by a claims adjuster or jury as reliable and credible so that your settlement or jury award for damages is maximized. If you live in the Boston area, having an experienced and knowledgeable Boston car accident lawyer prosecuting your claim is essential if you want to get the most value for your claim. In many car accidents, there are only two witnesses, you and the other motorist. If it is an intersection accident, both of you may claim the right of way or that the light was in your favor. Even if it was a rear end accident or one where a vehicle lost control, the accused party might claim some other factor contributed to the accident or that you had taken some action that may be deemed contributory negligence. Although there may be inconsistencies in one of the versions, having a third party car accident witness to the events of the accident or someone who can testify as to the other driver’s liability is to your obvious advantage and can either result in a substantial award to you or a nuisance offer of settlement. Bias in a legal context means that the witness has a stake in the outcome of the case or whose testimony has been influenced by money or a relationship with a party to the case. For example, as an injured motorist, you appear biased since you want compensation for your injuries. A family member is also perceived as biased. The other party has an interest in not having to pay on the claim or having a mark on a driving record and being subject to increased insurance premiums. In fact, both parties to an Massachusetts collision may be claiming injuries and blaming the other. Regarding expert witnesses, they are paid for by the party presenting them to support their version of the accident or to establish or discredit the claimed damages. Medical, accident reconstruction and other experts are often vigorously cross-examined regarding their fees, relationship with the attorney who is paying them or the percentage of cases for whom they testify as either on the plaintiffs’ or the defendants’ behalf. 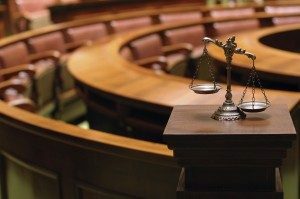 A jury may be more likely to perceive certain witnesses as neutral or unbiased if they just happened by circumstances to be involved in the case. For instance, the investigating police officers at the scene, emergency medical personnel or the surgeon and surgical team who performed the operation and did your follow-up care are more likely to have their testimony accepted as unbiased and credible; they were just doing their job. Should medical specialists be retained by either side, their opinions, if supported by peer-reviewed publications, and who can demonstrate that symptoms and findings are consistent or not with their conclusions, are more apt to have proved or disproved the plaintiff’s claimed damages. As you can see, a Boston car accident lawyer can exploit a hostile witness’ testimony in a variety of ways. If your witnesses are friendly and support your version and the nature and extent of your injuries, then your attorney must show the jury or adjuster that their testimony is either unbiased or based on accepted scientific or medical principles. If there is contributory negligence on your part, your award will be reduced by the percentage of your causal responsibility, though you cannot be more than 49% at fault under Massachusetts law or you will not recover anything. Call the Law Offices Burns & Jain if you or a loved one sustained injuries in a car accident. Boston car accident lawyer Neil Burns has been representing car accident victims since 1985 and has obtained millions of dollars in compensation for his clients. There is no charge for an initial consultation and his fee is contingent on settlement.